A leaking toilet can result in unpleasant smells being ever present, no matter how much air freshener and disinfectant you use. Often, the leak can be an almost invisible hairline crack that can only be detected through a thorough examination of your toilet bowl by an experienced plumber who knows what to look for. 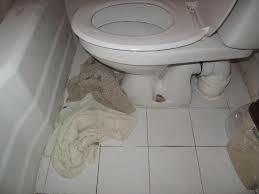 Other causes of a leaking toilet are easier to find and can be sorted out while we're there. Whatever the cause of the leak, we'll find it and sort it out for you as soon as possible and with the minimum disruption to your day. We can repair 99% of leaking toilets within the first hour. Our price includes the first hour labour and materials.